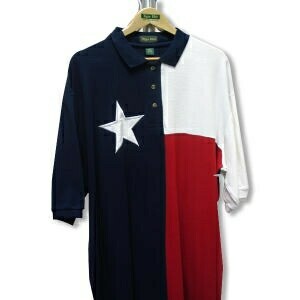 Description: Texas flag polo shirts are 100% ring-spun combed cotton pique with a Lone Star appliqued on the right chest. Listed prices apply to sizes XS-XL. Upcharges apply to larger sizes.